Is Amazon Go, the futuristic 1,800-square-foot grocery store that boasts no lines, just a quirky Seattle landmark? Or does it signal a coming seismic retail shift in the way people buy and sell in the 21st century? To get in, shoppers scan the Amazon Go app at one of four turnstyles. Amazon Prime isn’t required, but without the app, no one gets inside. An array of cameras attached to the ceiling works with sensors to determine which products shoppers are putting in their baskets. The app adds each product to calculate your total. If a shopper puts an item back, the app then removes it from the list. Amazon Go is not reducing grocery lines. So why do people keep going? Created to solve the problem of long grocery store lines, Amazon Go appears to have done little more than move the line from inside the store to outside. Since the supermarket is only about the size of a typical convenience store, it can’t hold all the shoppers who want to get a taste of this new way to buy groceries. The Amazon Go app isn’t the only way to buy groceries with an electronic device. Already, experts predict that shoppers will buy 20% of their groceries online by 2025. Millennials are leading the way via their smartphones. They’re starting families. They don’t like big box stores. And they’re comfortable with technology. It’s a perfect storm for retailers who have tried self checkout lines and hand held scanners with mixed success. There will be less staffing in the store but this is a trend already driven by Aldi and the need to manage labor costs in an age of Ecommerce. Amazon Go is moving some of those staff from scanning products to assisting shoppers. Customer service, not a checkout line, is the name of the Amazon game. What does Amazon Go mean for your brand? Most of us don’t have a cutting-edge development team and millions of dollars in the R&D test solutions, so what can Amazon Go teach you? Personalization matters more than ever. Customers expect buying suggestions, free useful content, and money-saving offers that match their interests and needs. 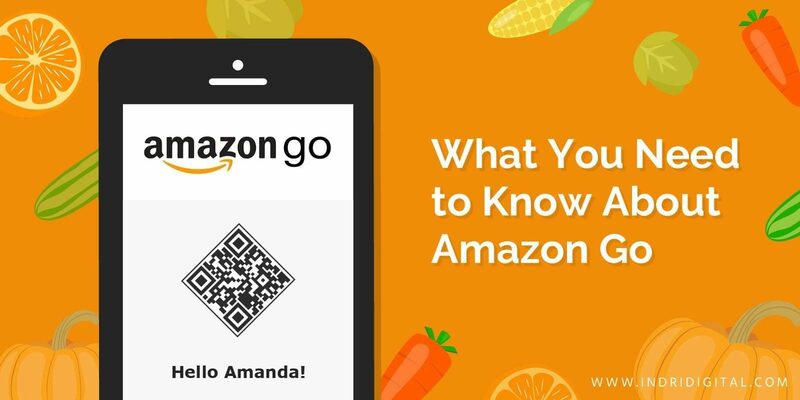 Amazon Go has the capacity to provide a personalized buying experience both online and in a brick-and-mortar store - and to share information between the two. You need more relevant data. Amazon is using this technology to close the gap between shopping online and buying in a brick-and-mortar store. Is shopping at Amazon Go a brick-and-mortar experience or an online one? Amazon Go requires a buyer’s presence in the store as well as a connection to an app. Other Ecommerce brands are prototyping storefronts, and traditional retailers are pushing deeper into the online space. The line between physical space and digital space is quickly fading. Shopping at Amazon used to mean buying a book online. Now it can mean buying groceries in a store, picking up a bag of kale at Whole Foods, or having your winter wardrobe shipped to your front door. What are some low cost ways that your Brand can take advantage of this change? Holiday pop up stores via thestorefront.com. Ecommerce bundles with like minded brands. Typically in a Problem > Solution format. Store events promoted by Online brands and Media outlets. Charity events that are a win/win for Ecommerce Brands and retail partners. Educational events that let an online brand bring its customers into a retail space for a class or workshop. Email based giveaways/sweepstakes between Ecommerce brands that need to be picked up in partner stores.